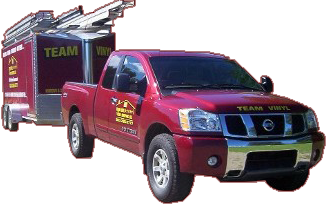 Based in Hinsdale, NH, Team Vinyl and Roofing Co. has proudly served residents in Cheshire County of NH and Windham County of VT areas since 1985. Although the times have certainly changed over the last 30 years, some things haven't. We maintain the same commitment to the highest quality products and services that have been inspiring trust and confidence in Team Vinyl and Roofing Co. since we first opened our doors. In fact, our family-owned business has been operating from the same hometown since day one. Today, from new construction, replacements, renovations, to repairs, we install energy-efficient, low-maintenance roofing, seamless gutters, siding, replacement windows, door, and more. So if you're planning a home improvement project, let our family help yours. Our staff is standing by for your call, and we will be happy to assist you in setting up a convenient time to meet with you and your family to provide a free, no-obligation estimate. Regardless of what your project may be, we will work with you individually to make sure your place of comfort, "your home", meets your specific needs and expectations. Together, we will determine what product line will suit you best and our knowledgeable efficient crew will install it with the quality-expertise your family deserves. At Team Vinyl and Roofing Co. "we respectfully treat your home as if it were our own". When you hire Team Vinyl and Roofing for your home improvement project, you can be assured that you are receiving the best warranties in the business. Not only will you receive the best warranties that our manufacturers have to offer, you can also rest assured that your workmanship is guaranteed too. 101% customer satisfaction is not just a goal at Team Vinyl and Roofing, it is an everyday standard. It always has been, and will continue to be our main objective. "You should hear what our customers are saying about us!" We are proud to say we've earned an A+ with the New Hampshire BBB, have countless and all outstanding reviews across the web including the BBB, Angie's List, Home Advisors, Facebook, Google Plus, Superpages and more!